Remember this guy from Season 11 of America’s Got Talent? Tickets go on sale tomorrow morning (Friday, 11/16/18) at 10am- parkerplayhouse.com. Every once in a while, something magical reminds us that we all have an inner child that must be fed. Through simple, clever and charming humor aimed at satisfying that hunger, Tape Face has created one of the most accessible and enjoyable shows the world has ever seen. Mime with noise, stand-up with no talking – drama with no acting. 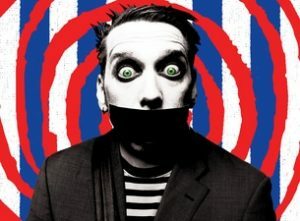 Tape Face has to be seen to be believed. A character with universal appeal, his performance is delightful, wry, many-layered and hilarious as he transcends the barriers of language and culture. 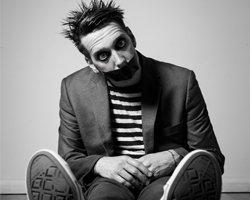 You’ll laugh, you’ll scream and ultimately end up like Tape Face – lost for words. Loved his AGT’s appearances. Not so sure he can sustain a long show.